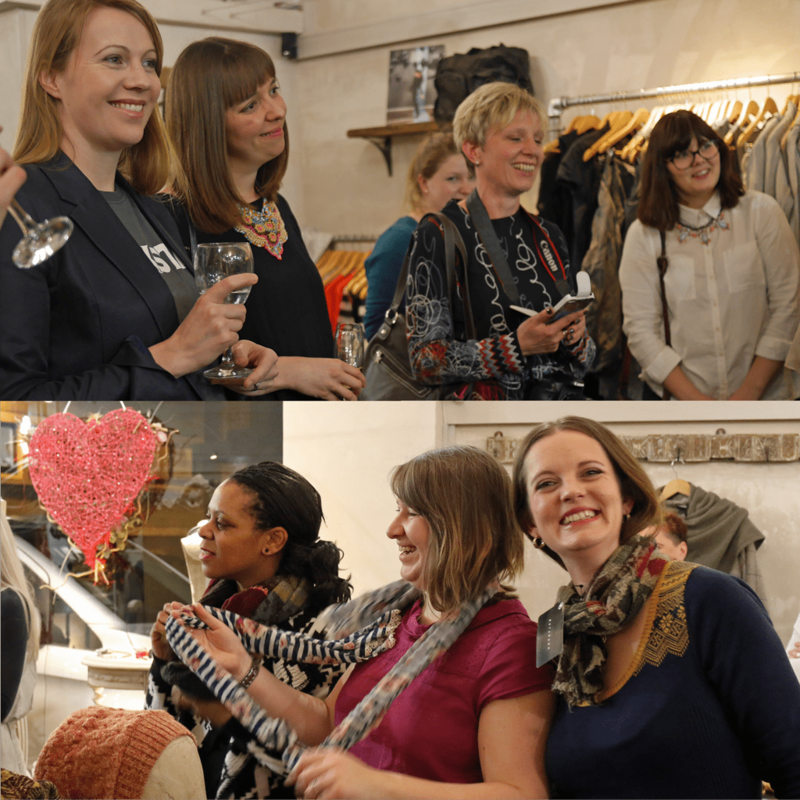 The Oxfordshire Bloggers were recently invited to hold our first event at the Olivia May clothes boutique in Oxford. 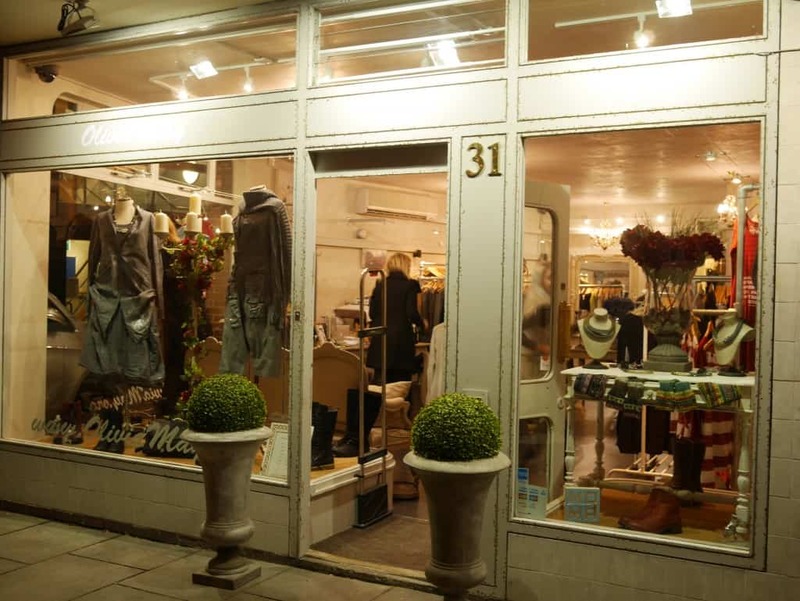 Olivia May is an independent clothes shop based on Little Clarendon Street, Oxford. They stock a number of niche international designers who offer something unconventional and different to high street stores. 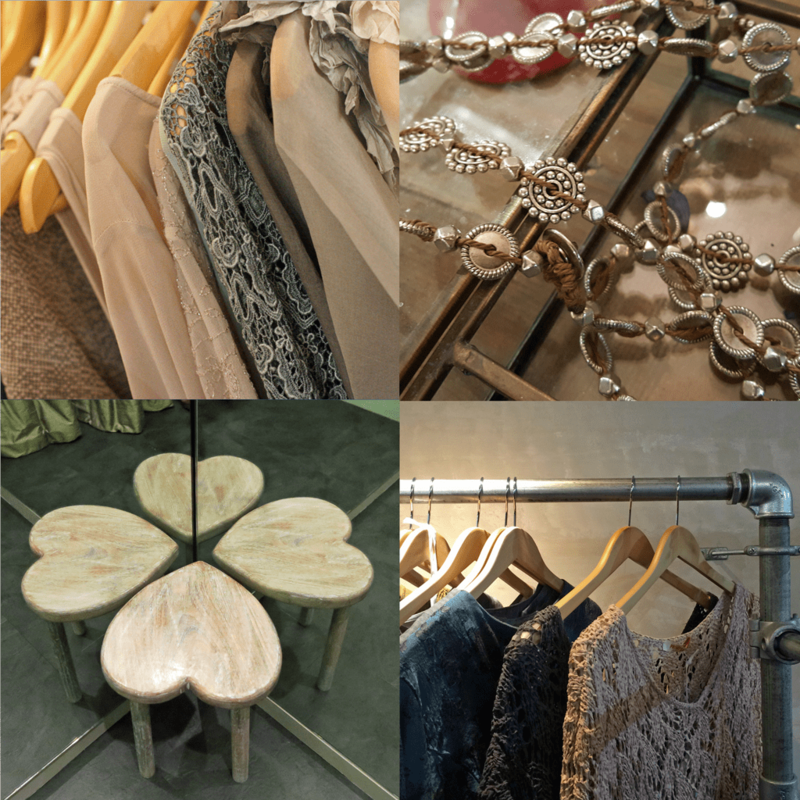 At Olivia May we want you to be inspired, not just by the designers we feature but by the ways we can help you put together your wardrobe and your look. 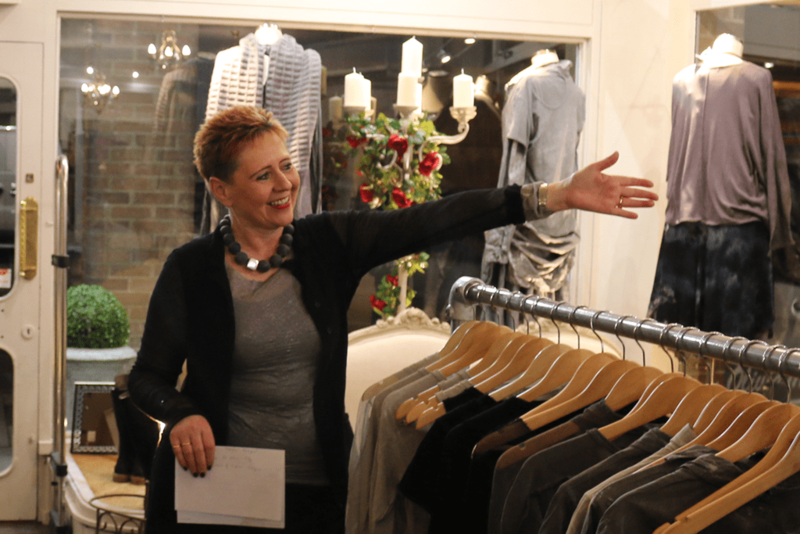 After the nibbles and bubbly, Ann, the owner, introduced us to the designers they stock and key items for the new season. Some of the clothes were so new they have been unpacked earlier that day, especially for the evening. 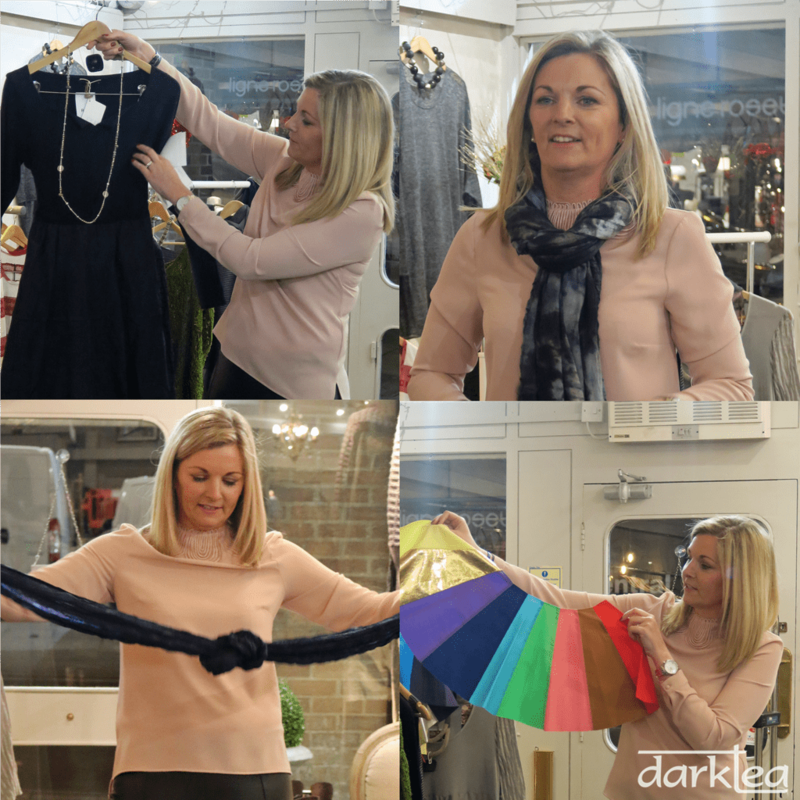 This was followed by stylist Lisa B providing tips on how to dress for each body shape, using examples from the clothes available in the shop. As well as showing a number of different ways to tie scarves and an introduction to the seasonal colours for different skin and hair tones. 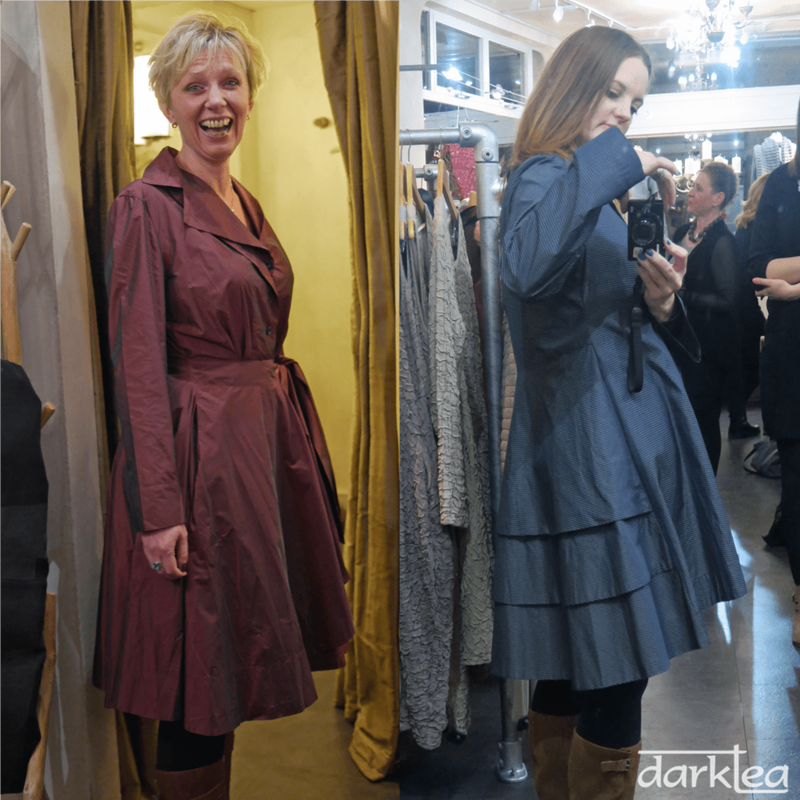 Then we were let loose to try on the clothes and accessories (I love the back detail on the blue coat I’m trying on below). Olivia May is offering 15% discount on the Spring / Summer collections especially to blog readers by using the code DCBlog on their website. As the first official Oxfordshire Bloggers event it was great that so many bloggers attended from across the county and a diverse range of blog topics. Although it is fun to chat online, nothing beats meeting in person, especially when you get the opportunity to learn something new at the same time. You can read more about the event in the links below. 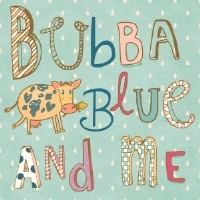 Olivia May has offered to give £125 voucher to one blogger who attended and writes a blog post about the event. Just add your post to the linky above for your chance to win – good luck! The winner chosen at random is Mary @ Over 40 and a mum to one. 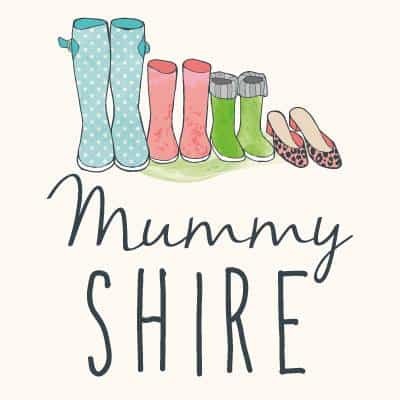 *Disclosure: Oxfordshire Bloggers were invited to visit Olivia May and have a few nibbles in exchange for an honest post. Thanks for organising the event Kate, I really enjoyed it. It was a great evening Kate, thanks for arranging the event, it was really lovely to meet everyone!